GHB Window Cleaning Services Inc. has been servicing Leschi with their roof cleaning and moss control needs. Let our professionals take care of your roof maintenance! Prevent costly repairs to your roof by cleaning and treating your roof regularly. Our trained experts clean roofs efficiently using top-of-the-line equipment and treatments that are safe for the environment & biodegradable GO GREEN! We are also OSHA & ANSI approved for Fall Protection & Safety. 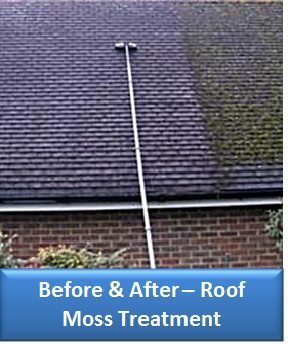 Protect your investment, future and home with regular roof cleaning, moss control & maintenance. Learn more about our new re-occurring Maintenance Programs and sit back, relax and let us worry about when it’s time for your next roof cleaning and moss control treatment.